Tomorrow is Halloween and by Friday you may have more leftover candy than you know what to do with. 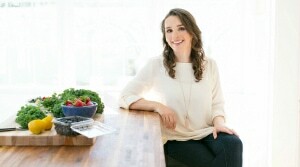 Today, I’m sharing the perfect recipe to use up some of that candy. 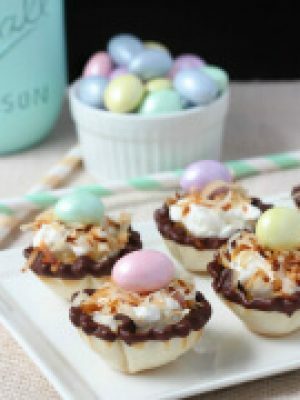 I’ve also teamed up with a few other bloggers to bring you even more candy inspired recipes. Make sure you scroll down to see more. 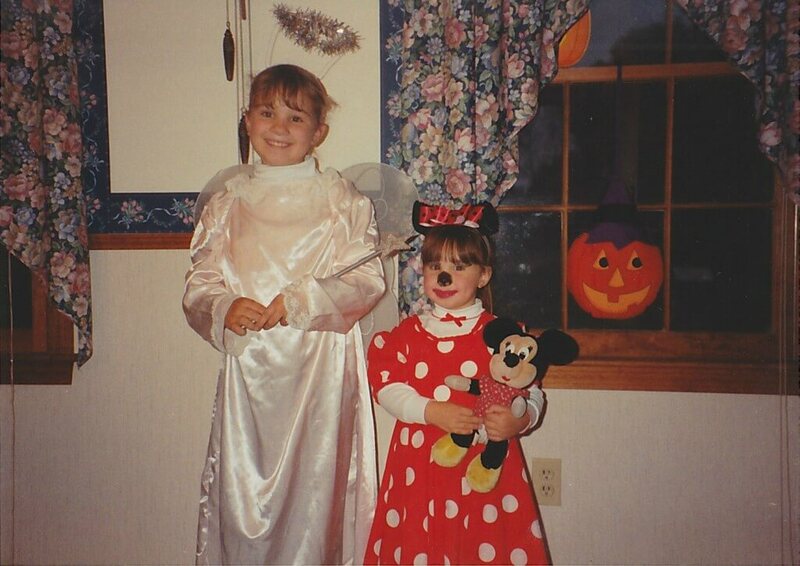 Halloween was my favorite holiday as a child. My aunt would pick us up from the bus after school and we would go to her house for an afternoon of fun. We made Halloween crafts and snacks and then went trick-or-treating. After we were done trick-or-treating, we went back to the house, dumped our buckets out on the floor and then traded with each other for our favorite Halloween candy. Snickers was always my favorite, even as a child, so I would trade anything and everything to go home with the most Snickers. I love the creamy nougat topped with caramel, peanuts and chocolate. So what better way to use leftover Halloween candy than in a warm cookie pie. 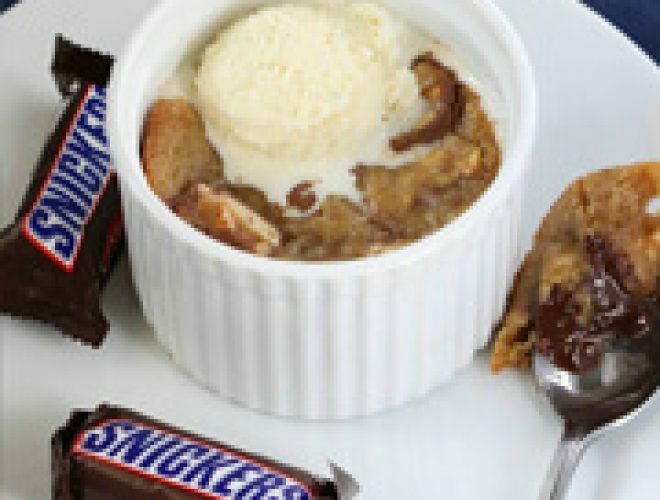 These Snickers deep dish cookie pies are warm, gooey, chocolaty goodness packed into a small dish. 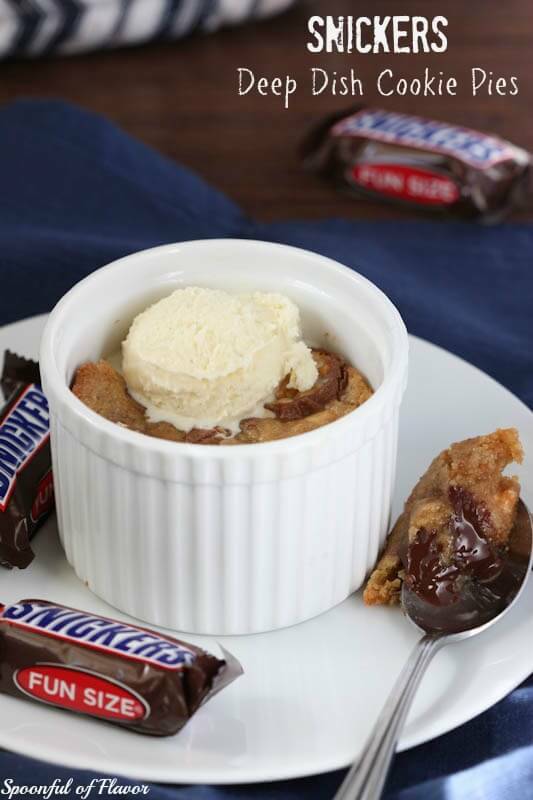 Top it with ice cream and you have the perfect post-Halloween treat. Just for fun I decided to include a few pics from Halloween as a child. The first picture is my favorite Halloween costume. 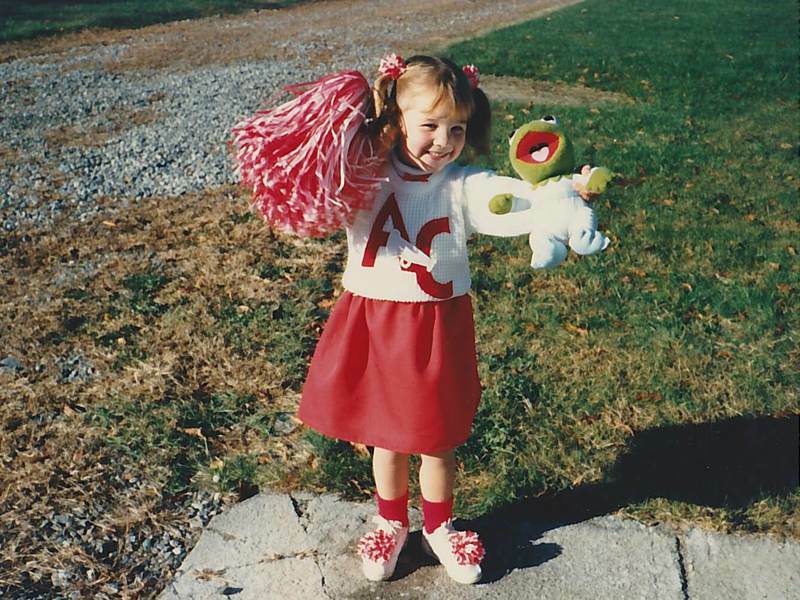 I’m not really sure why it was my favorite Halloween costume at the time, but I think I wore it a few years in a row. I may have been predicting what was to come because I was actually a cheerleader all through high school. This next picture is my sister and I sometime in the early 90’s. She was (and still is) obsessed with all things Disney. She is lucky that I decided not to post the one of her in a princess Jasmine (of Aladdin) costume. To celebrate Halloween, I’m teaming up with my friends today to bring you 9 delicious sweet treat recipes. 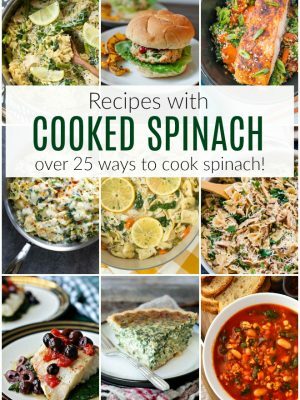 Be sure to head over to their blogs to check out other tasty treats. 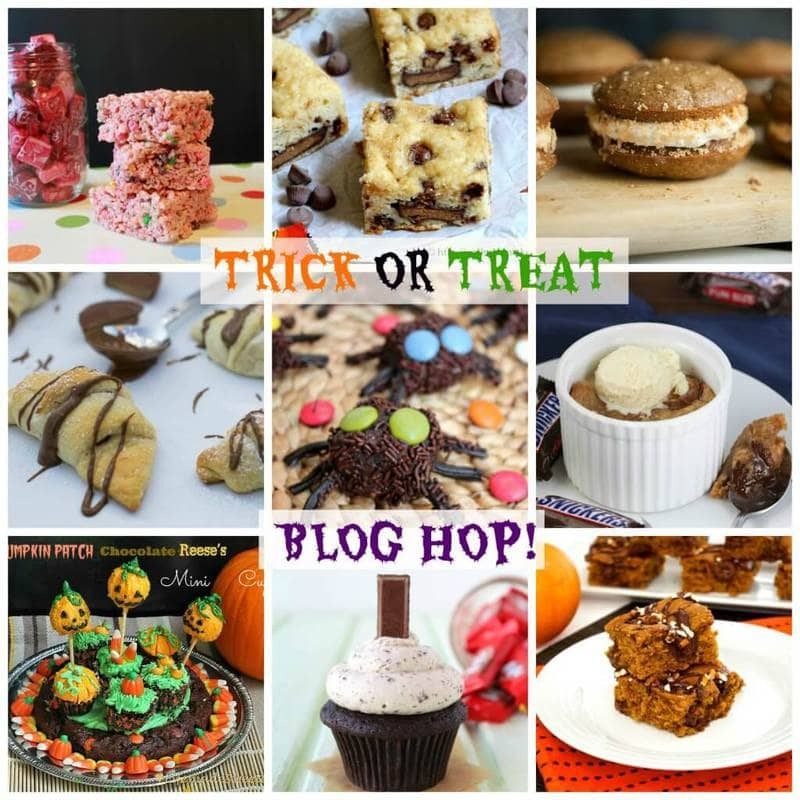 If you dig sweets then check out #TrickorTreatBlogHop on Facebook, Twitter, Google +, Pinterest, and Instagram. Happy Halloween! 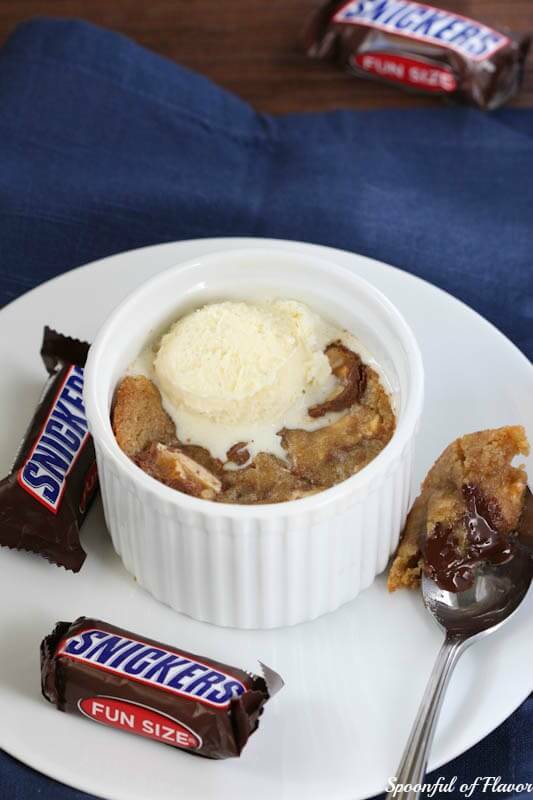 Try this warm Snickers deep dish cookie pie recipe with ice cream for an unforgettable dessert. Preheat the oven to 375 degrees F. Set aside at least 4 ramekins. 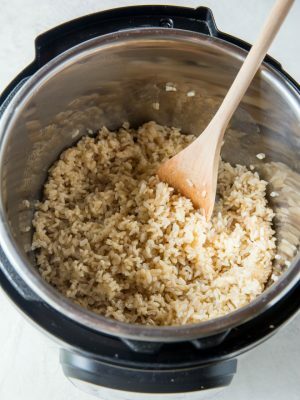 In a small bowl, combine the flour, salt, baking powder, and baking soda; mix to combine. In the bowl of an electric mixer fitted with the paddle attachment, cream together the butter and sugars until well blended and fluffy. Add egg and vanilla and beat until well incorporated. 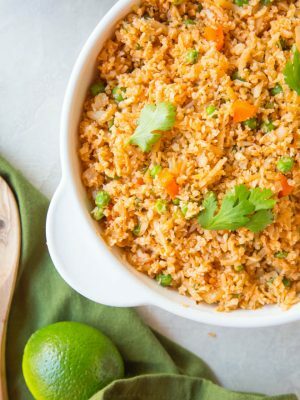 Add dry ingredients and mix until combined. Fold in chocolate chips and Snickers. Fill the ramekins about 3/4" deep with cookie dough. 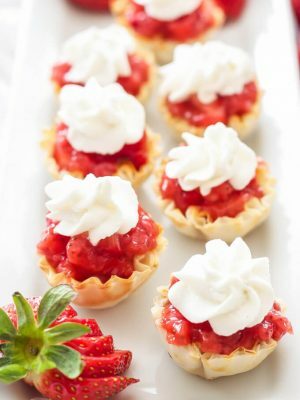 Set ramekins on a baking sheet and bake on the middle rack of the oven for 14-16 minutes, or until the top is just slightly golden brown. You want to aim for slightly underbaked cookies. Allow to cool slightly, top with ice cream and serve. Be careful because the ramekins will still be very hot. Depending on the size of your ramekins, you may have bigger or smaller pies. I use 4" ramekins and make about 4 small pies. 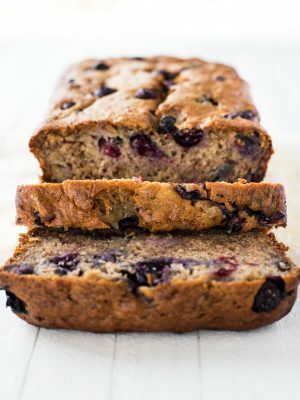 Have you ever thought about browning the butter first in this recipe and than baking the whole thing in a cast iron skillet? Hi, Becky! Browning the butter sounds incredible. 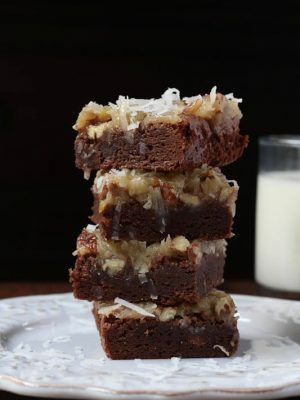 I haven't tried it but I have baked these in a cast iron skillet. 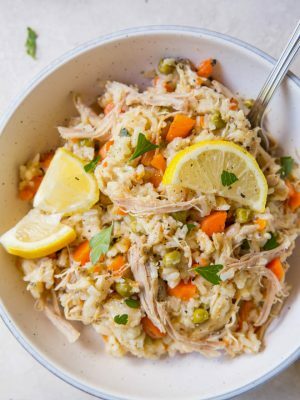 I HAD to click over from the link party when I saw your recipe, because I posted a recipe with a similar title but yours looks sooo tasty and different from mine! Mine is also a Snickers Deep Dish Cookie, but it is a tart with a pretzel crust. :) I'm definitely pinning this for later, and now following your blog! 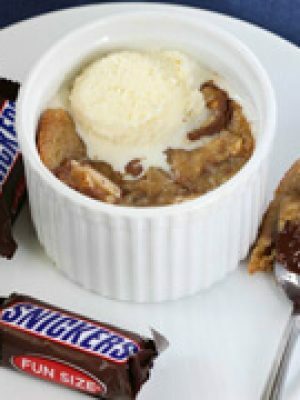 Oh my goodness, I have to take out all the Snickers from my kids bags so I can make these! They sound wonderful! I want to dip my spoon in that ramekin and get a bite of that deliciousness right now! They really look yummy!